Driver, John. 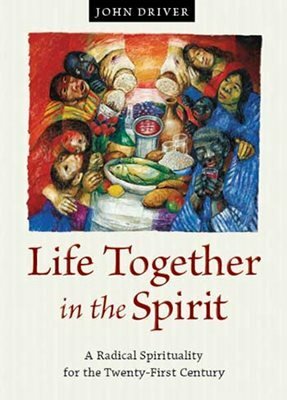 Life Together in the Spirit: A Radical Spirituality for the Twenty-First Century. Goshen, IN: Institute for the Study of Global Anabaptism, 2011. Hollinger-Janzen, Rod, Nancy J. Myers, and Jim Bertsche, eds. 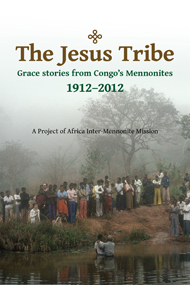 The Jesus Tribe: Grace Stories from Congo’s Mennonites 1912–2012. A Project of Africa Inter-Mennonite Mission. Elkhart, IN: Institute of Mennonite Studies, 2012. Co-published with Institute for the Study of Global Anabaptism. The Global Anabaptist Profile surveyed the belief and practices of 24 member churches in Mennonite World Conference. Summarizing more than three years of research, this full-length report includes a forward by ISGA director John D. Roth, interpretive findings by GAP co-director Conrad Kanagy, and individual profiles of the 24 participating groups. 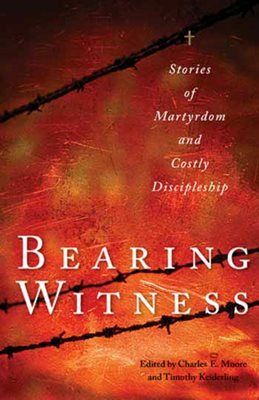 The Bearing Witness Stories Project and Plough Publishing collaborated together in the creation of Bearing Witness: Stories of Martyrdom and Costly Discipleship, a collection of stories of costly discipleship that illustrate Christ-like nonviolence as lived by a diverse array of Christians spanning both centuries and continents. See Plough’s website for more information. Current and back issues of Rhizome, the ISGA’s biannual newsletter, may be found below. To subscribe to future issues of Rhizome, please visit our subscribe page. 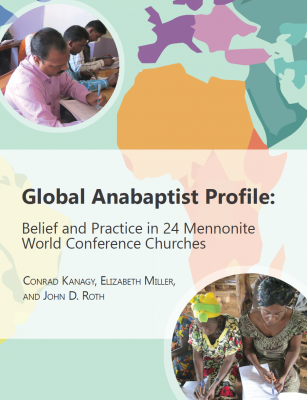 “Global Anabaptism” is a regular column by ISGA Director John D. Roth in The Mennonite. “Congolese Mennonite resiliency” 1 May 2017. “Mutual aid, mutual accountability” 1 Apr 2017. “Witness and resistance” 1 Mar 2017. “One meal per member per year to MWC?” 1 Feb 2017. “Celebrating the Reformation?” 1 Dec 2016. “‘The past is never dead’” 1 Nov 2016. “Mennonite Church South Korea is born” 1 Oct 2016. “How should we respond to kidnapping?” 1 Sept 2016. “In memory of Glen Lapp” 1 Aug 2016. “Living peaceably with Muslim neighbors” 1 July 2016. “Hidden in plain sight” 1 June 2016. “What’s in a name?” 1 May 2016. “Indonesian churches to host MWC Assembly in 2021” 1 Apr 2016. “Anabaptist ferment in Korea” 1 Mar 2016. “Images of pain and beauty?” 1 Feb 2016. “How do we respond to terrorism?” 1 Jan 2016. “Identity unsettled and renewed” 1 Dec 2015. “Anabaptist debts to late-medieval Catholicism” 1 Nov 2015. “Anabaptists by the numbers” 1 Oct 2015. “Is Christian faithfulness possible without unity?” 1 Sept 2015. “Whither Mennonite World Conference?” 1 Aug 2015. “Mennonite renewalist groups abound,” 1 July 2015. “Mennonite church in Kenya celebrates 70 years,” 1 June 2015. “A victory for COs in Colombia,” 1 Apr 2015. “Mennonites and Seventh-Day Adventists,” 1 Mar 2015. “5 reasons to attend MWC 16,” 1 Feb 2015. “Three expressions of resistance and hope,” 1 Jan 2015. “MWC churches and the gospel of peace,” 1 Dec 2014. “‘Meno-latino’ identity,” 1 Nov 2014. “The persecution of Nigerian Christians,” 1 Oct 2014. “World War I and the global church,” 1 Sept 2014. “Korean Anabaptist Fellowship engages challenges,” 1 Aug 2014. “Prepare to be hosts for MWC in 2015,” 1 July 2014. “A spiritual pilgrimage by bicycle,” 1 June 2014. “Is the Reformation still relevant?” 1 May 2014. “The plight of COs continues today,” 1 Apr 2014. “Dutch Mennonites and the unity of the spirit,” 1 Mar 2014. “Mennonites and land,” 1 Feb 2014. “The witness of Regina Mondez,” 1 Jan 2014. “New perspectives in church history,” 1 Dec 2013. “What and how we sing matters,” 1 Nov 2013. “A model of daily, faithful service,” 1 Oct 2013. “The global church is young,” 1 Aug 2013. “Not your typical Beachy Amish bishop,” 1 July 2013. “The Anabaptist martyrs are not dead,” 1 June 2013. “Mennonites and the Catholic Church,” 1 May 2013. “And when they shall ask,” 1 Apr 2013. “The gift of vulnerability,” 1 Feb 2013. “Japanese Mennonites address nuclear power,” 1 Jan 2013. “Saint John,” 1 Dec 2012. “Amish growth enriches all of us,” 1 Nov 2012. “The danger of a single story,” 1 Oct 2012. “Before Pieter Jansz there was Tunggul Wulung,” 1 Sept 2012. “New technology and the global church,” 1 Aug 2012. “In praise of translators,” 1 July 2012. “Paraguayan Mennonites enter politics,” 1 May 2012. “Church as a rhizome?” 1 Apr 2012. “Baptist ties through the Aussiedler,” 1 Mar 2012. “1948 meetings reoriented our thinking,” 1 Feb 2012. “Chilean Mennonites enrich the fold,” 1 Jan 2012.